The Hohner Masterclass A Modular System Harmonica is Hohner’s highest quality diatonic harmonica. 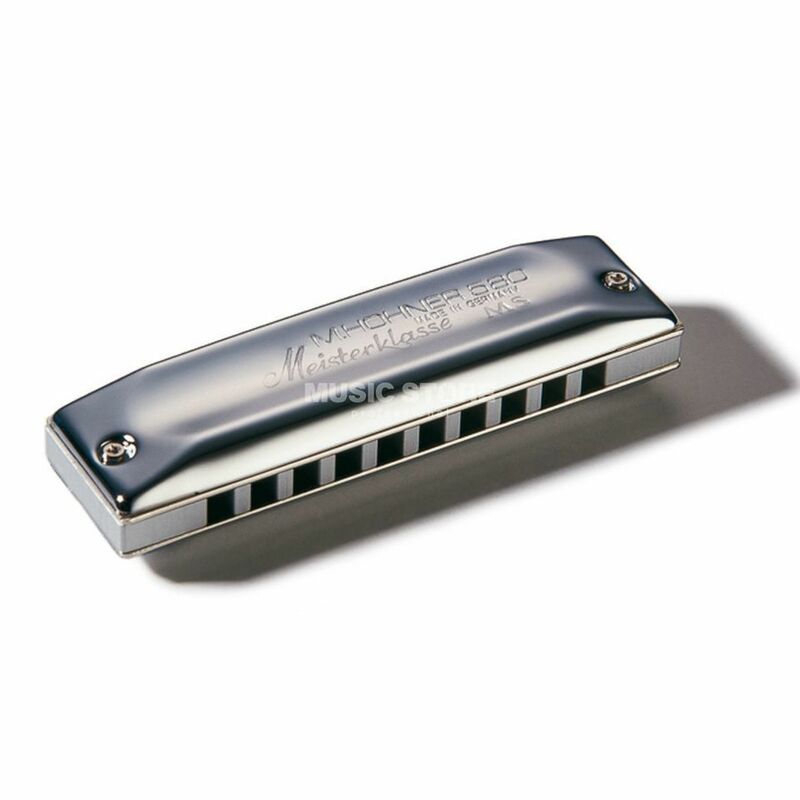 Powerful, bright and impressively sleek, the chrome plated Meisterklasse makes playing a great sounding harp seem effortless. Just ask Huey Lewis, he's been playing them for years. Chrome plated reed and cover plates. The Meisterclasse has standard diatonic tuning and is available in all major keys. Replacement reed plates are available from Hohner separately.